Ireland is a country of some 5 million people living in it and some of those people are very pretty women models. Here is a list and photos of the top female models from Ireland in 2017. Hope you like the list and photos and watch for these pretty women models from Ireland. Vogue Williams was born on January 25, 1986, in Dublin, Ireland. In addition to being a top Irish model, Vogue Williams is also an actress and radio personality in Ireland. Though born in England, super hot model and actress Tara Leniston grew up in County Clare, Ireland. Holly Carpenter was born on October 9, 1991, in Dublin, Ireland. 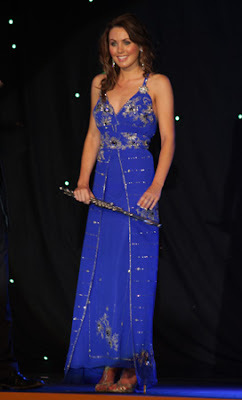 Holly was Miss Ireland in 2011. Saoirse Ronan was actually born in the Bronx, New York, but she was raised in Ireland and is an Irish model and actress who starred in the feature film "Brooklyn". Rosanna Davison was born on April 17, 1984, in Dublin, Ireland. Rosanna was crowned Miss World in 2003. Blathnaid McKenna was Miss Ireland in 2007 and she has gone on to model for such designers as Diane von Furstenberg.